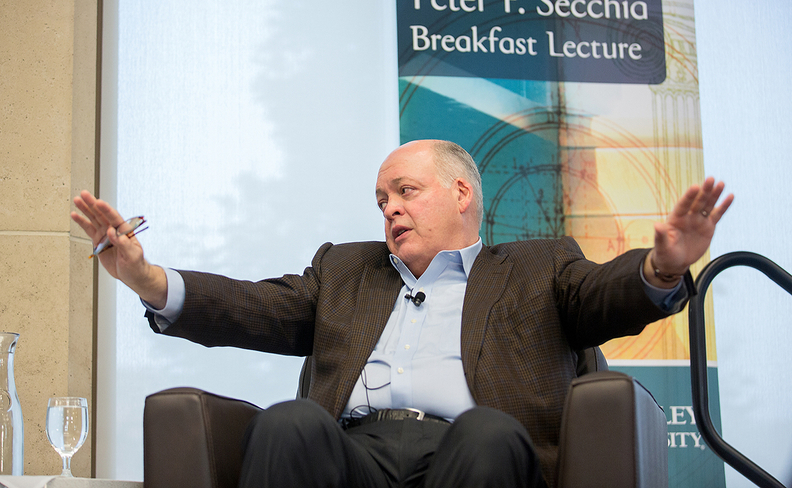 DETROIT -- Ford Motor Co. CEO Jim Hackett on Tuesday outlined sweeping changes that include redirecting a third of the company's internal-combustion engine expenditures to vehicle electrification and cutting costs by $14 billion (all figures U.S. dollars). He said the automaker would develop new vehicles faster, shift $7 billion in product-development funding from cars to more profitable light trucks and build Internet connectivity into Ford’s full U.S. lineup within two years. It also plans to simplify what vehicles customers can order. Ford said the team has identified a more than 90 per cent reduction of orderable combinations in the next-generation Escape. In addition, it's moving from 35,000 combinations in the current Fusion to 96. Ford also plans to add Internet connectivity in every one of its vehicles in the United States by 2019. About 55 per cent of its lineup is connected today. By 2020, 90 per cent of Ford's new global vehicles will feature connectivity, the company said. Ford said it was reaffirming its long-term goal of an eight per cent operating margin on its core automotive business as it looks to boost overall profitability. It also reaffirmed its financial guidance of a $9 billion pretax profit for 2017.